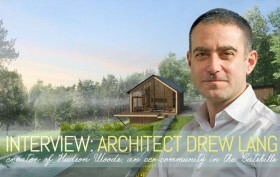 Back in July, we sat down with Drew Lang of Lang Architecture to chat about his new eco-village, Hudson Woods, located in the Catskills. Now that the homes are finished, they need forever owners (us! us!). 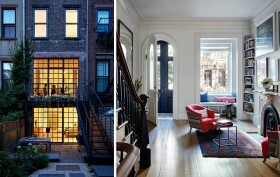 Inhabitat NYC featured the gorgeous—and we mean drop dead gorgeous—homes within the private 26-house neighborhood. The community is located upstate, but only two hours from the city; so when you need your fill of civilization you can get to it with ease. OK let’s get to the photos already. See them all here and then catch our interview with Drew.